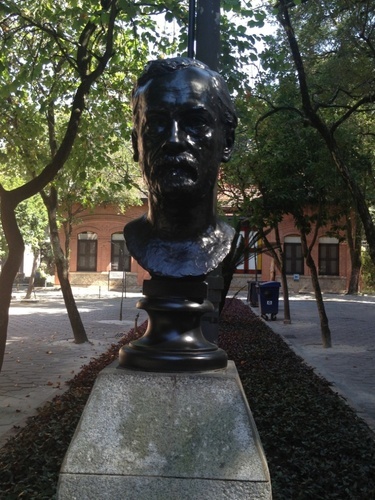 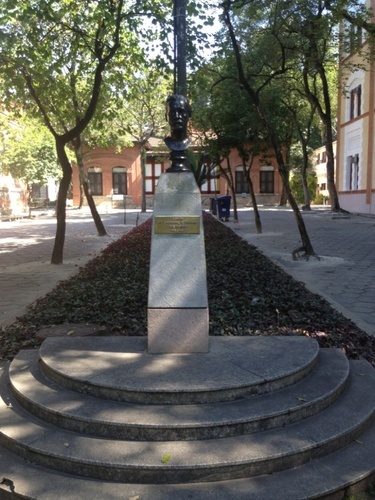 This bust of Louis Pasteur is located inside the area of the Oswaldo Cruz Foundation, at the entrance of Oswaldo Cruz's home in Rio de Janeiro. 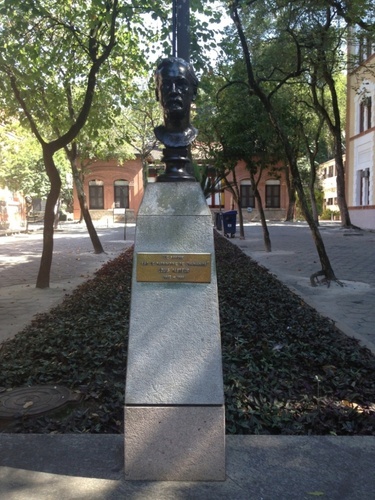 Oswaldo Cruz traveled to Paris in 1897 to specialize at the Institut Pasteur in microbiology and its application to public health. 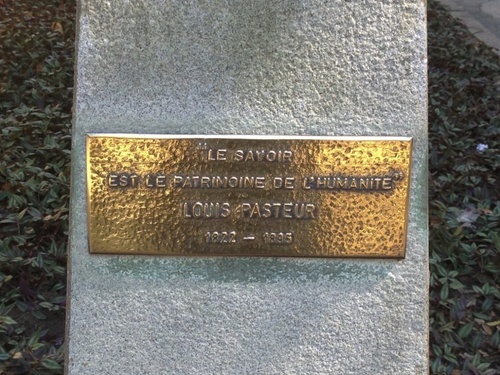 The plaque bears the following words: "LE SAVOIR EST LE PATRIMOINE DE L'HUMANITE, LOUIS PASTEUR, 1822-1895"